As Old Trafford looks on to see Manchester United take on Newcastle United, a grim atmosphere of scrutiny will be on. 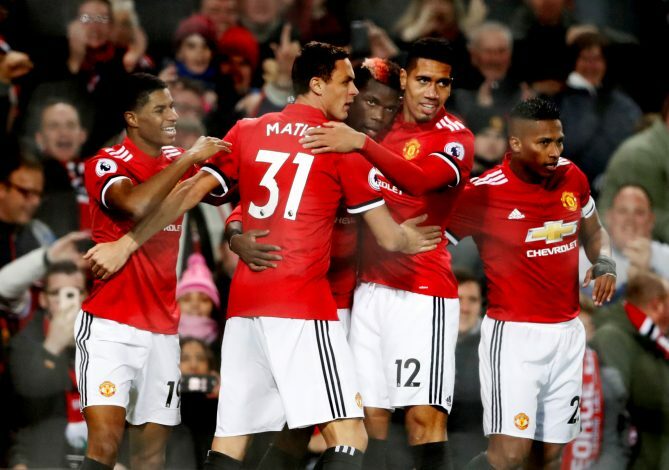 The Red Devils have been stuck in a dreadful form of games, not becoming of the talent they have at their disposal and the sheer amount they’ve invested over the seasons. As of such, with rumors that Jose Mourinho may be sacked also doing the rounds, this will be a momentous fixture, and one that may have lasting effects based on how the results turn out. However, the tweet of one Manchester United star may affect the game in a big manner, and it has nothing to do with Mourinho’s future. Good luck to all my team. This tweet has been interpreted to mean that Valencia won’t be starting, or perhaps won’t even be a part of the matchday squad for the home fixture. The next implication would be that Diogo Dalot would be given his Premier League debut. The 19-year-old Portuguese full-back was United’s only other singing of significance this past summer, with Fred being the other investment. While giving a chance for the youngster to shine is a commendable act, what this means for Valencia is also up in the air. The Ecuadorian came under some controversy earlier this week, when he apologized for accidentally liking a social media post that called for Mourinho to be sacked. As of such, not including him in the game against Newcastle will certainly be interpreted as punishment for the act. At the same time, one must realise that Valencia is an aging talent, and it is just that the timing of Dalot’s potential introduction is not ideal given the context.